Santa Monica Studio showcases the talent and creativity of their art department and kicks off a new photo mode contest. 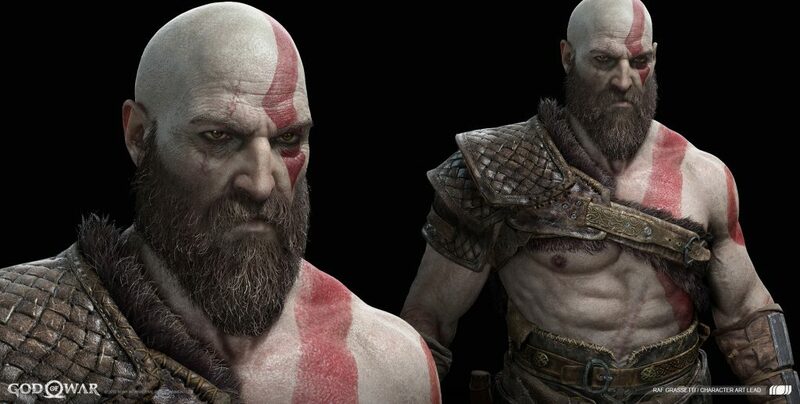 This week we have been celebrating the incredible artwork of God of War. Making games is a creative journey, from writing to design… from production to QA, and we at Santa Monica Studio are excited to celebrate the art department and to share a glimpse of this process with all of you. Our artists have posted hundreds of images that showcase the immense talent and imagination put into the project, so we hope you enjoy! With all that said, be aware: spoilers ahead! As part of this celebration, we’re also kicking off our first official God of War Photo Mode contest starting today. Submit your most creative and original God of War Photo Mode pics to us to enter to win a museum quality Cook & Becker print of your winning submission, signed by our team. Plus you’ll also get a copy of Dark Horse’s in-depth and beautifully designed book, “The Art of God of War”. To enter, just tweet your submission to @SonySantaMonica with #GOWPhotoModeContestEntry + #PS4Share. Make sure to submit soon. You’ll have until July 6 to enter to win! Go here to learn more. Finally, below, we’d like to share with you three of our insightful behind-the-scenes story excerpts. They go in-depth into the art and animation of making this game from the light and foliage in Alfheim to the fearsome, yet awe-inspiring Valkyries. Interested in reading the full stories? We’d love for you to check them out here. On the animation front, the inspirations were focused on various creatures that create loud and powerful footsteps. Our Animator, Sophie Evans, recollected, “A lot of reference came from lizards, komodo dragons and tigers. These animals tend to be really heavy.” The movements of the Mountain Dragon needed to be powerful and strong, she said. Click here for the extended story behind Hræzlyr. Lead Character Concept Artist, Dela Longfish, remembered some of the challenges associated with this part of the design: “Cory and much of the team really liked that the wings weren’t natural – creating an iconic look to these characters. But the wings were the most difficult part – getting these mechanical parts and making sure it didn’t feel out of place with the technology of the time. Click here for the extended story behind the Valkyries. 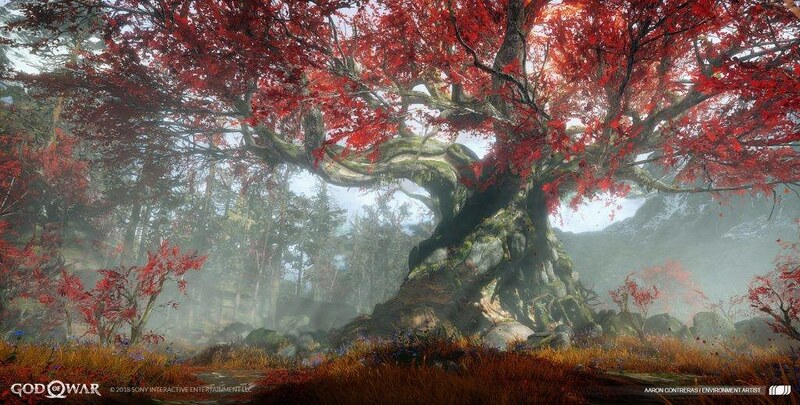 A fascinating artistic challenge that the Light of Alfheim affected was the foliage. 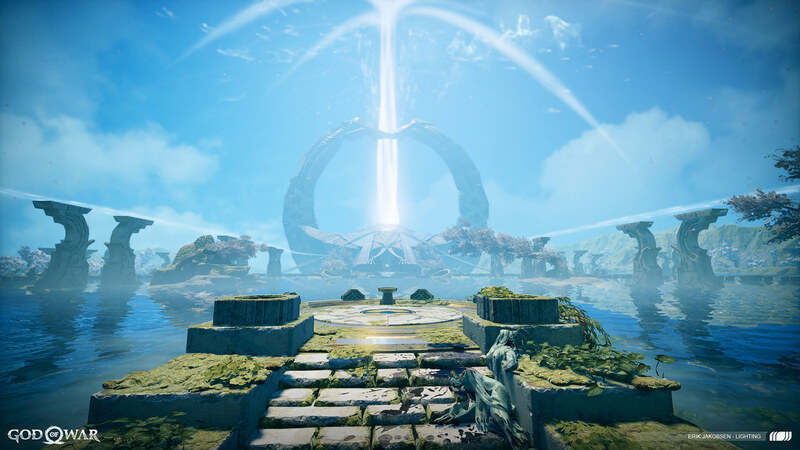 All around Alfheim, as you venture through by both foot and boat, you experience varying tree shapes and otherworldly environment art. Much like everything in this area, even these trees are affected by the Light of Alfheim. This idea led to interesting concepts where the team played with the region’s fauna and how that would react to having a light source centralized as a beam. Our Sr. Environment Artist, Erik Jakobsen, then took those concepts and translated them into the 3D in-game environment, although the process wasn’t so simple due to the complex nature of trees chosen. Click here for the extended story behind Alfheim. Thank you again so much to all of our fans worldwide. We’re humbled and honored to share all of our artwork with you! Absolutely gorgeous work from top to bottom. What I found so amazing, is how well the various artist’s work blended together with equal polish, nothing felt “out of place”; everything served a purpose. Talented artists, direction, and production recruitment. Best game I have ever played. Been a gamer all my life, and at 38 still amazed on how the art of gaming has evolved. Great Work, keep it coming. Hope to see more of this game either with downloadable content or more of the Good of War series. Thank you. Don’t think I’ve seen movies with visuals this seamless and flowing, the beauty in almost every frame is stunning and breathtaking. It gets my vote.